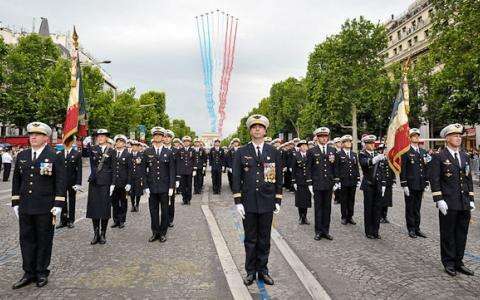 The July 14th military parade will be the highpoint of the national holiday ceremonies. The parade will highlight the french regiments which will parade in the morning. The Paris fire brigade is celebrating its 200th anniversary. They will be honoured in this parade. The public will view the display from the Champs de Mars. Start of fireworks: around 11pm for 35 minutes.